We're here to answer any of your mortgage questions. Call us today at (800) 874-5544. So you’ve found your dream home. Before you make an offer, it pays to understand the full range of costs involved. Homebuyers often focus on saving for down payments or shopping for competitive interest rates, but few factor in the fees associated with the final step in the process: paying the closing costs. Note: Closing costs listed below are estimates and may vary greatly based on your location. Application fee: This non-refundable fee, around $500, covers the administrative cost of completing a lender’s home loan application. Some lenders offer reduced prices, or conduct this service free of charge. Origination fee: This is another upfront fee for reviewing and preparing your loan. Expect to pay anywhere between 0.5 and 1% of what you are borrowing. Underwriting fee: This $500-$700 cost covers the process of verifying the details of your home loan application. Points: Do you plan on living in your new home for an extended period (15 years or more)? If so, consider purchasing points. Points are charged by a lender to reduce the overall loan interest rate and can help save you money in the long run. Expect to pay around 1% of the home’s purchase price per point. 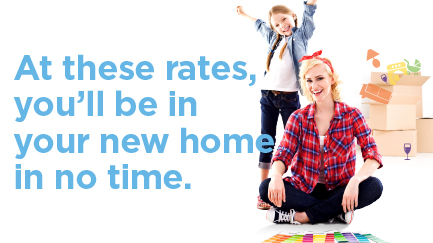 Each point will reduce your overall interest rate up to about 0.25%. Credit report fee: Before a lender determines your qualification for a home loan, they obtain a full credit report on you and any joint applicants. Most lenders typically charge up to $50, per credit report, for this service. Wire transfer or courier fee: After all closing documents are signed, banks will wire transfer or courier money to fund the mortgage and finalize the process. This is often included in the underwriting fee or billed separately up to about $50. Title search: Before finalizing your loan documents, the lender conducts a search to look for liens on the property. Fees, on average, are around $600. Title insurance: This insurance covers your lender if they missed a lien during the title search process. Expect to pay up to half of a percent of your overall purchase price. Home inspection: A home inspection is not a requirement for all loan types, but it is an integral part of the homebuying process. During the inspection, an expert walks you through the home to identify needed repairs or deficiencies in the structure. The inspector’s report can help you negotiate with a seller to reduce the purchase price of the house or to get some repair work completed. Costs generally tend to range from $350 to $500 for a home inspection. Termite inspection: Termite inspection helps identify the presence of wood-destroying organisms in the home. Sellers are often on-the-hook to pay this cost, usually up to $100. Survey fee: Covers the cost of surveying the home’s property lines. The price is usually around $500 for a survey. Escrow deposit: This upfront deposit places funds in an account to cover annual property taxes and mortgage insurance premiums. The amount will vary based on insurance costs and property taxes for your home. Property appraisal fees: Most lenders require a professional appraiser to assess the value of a home. An appraisal usually runs around $500. What Is the Overall Price Tag for My Closing Costs? Although closing costs vary from state to state, expect to pay two to five percent of the home purchase price. If your purchase price is $300,000, for example, closing costs will fall between $6,000 to $15,000. To run the numbers for your specific situation, use a closing cost calculator. Three days before your actual closing date, your lender is required, by law, to provide a Closing Disclosure statement which lists all fees in detail. Review this document carefully and ask your lender to explain items which are unclear. 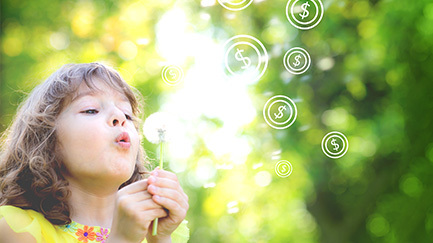 One of the most effective ways to save money on closing costs is to compare lenders’ fees. Many lenders compete for your business by offering closing cost incentives. However, be wary of offers for ‘no-closing-cost mortgages’ as they will often include higher interest rates which will cost you more in the long run. Another way to cut costs is to negotiate with the seller. If the home sat on the market for a prolonged period, or the seller is highly motivated, you can request to have them absorb a portion of the closing costs. "I'm Buying a Home. Should I Be Pre-Approved?"